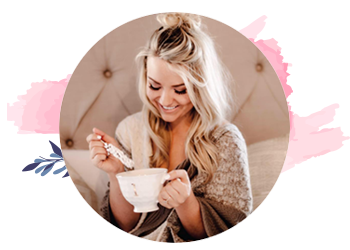 It would mean so much if you would grab a cup of coffee, get cozy & check out our raw & honest podcast where we openly discuss marriage, motherhood, faith and womanhood! Click here to listen to The Milk & Honey Podcast OR download it on Spotify, Google Music or the Overcast App! 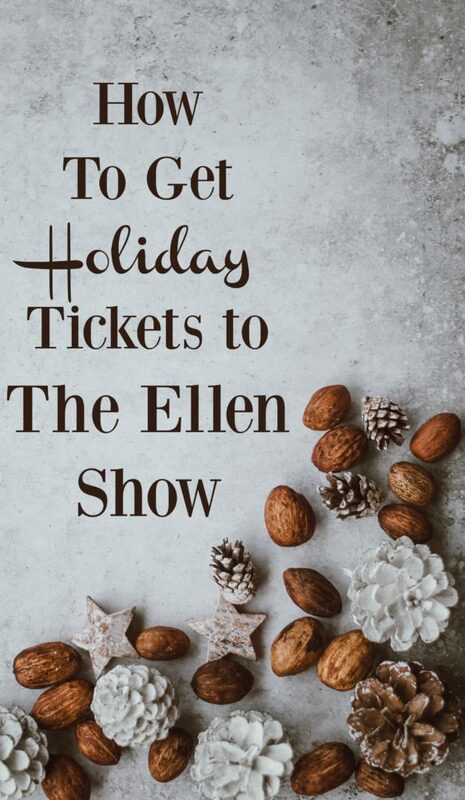 It has always been my dream to get tickets to The Ellen Show, but to be there for the 12 Days of Giveaways is one of those things that I just knew wouldn’t ever be possible, even in my wildest dreams – until it actually happened! So how did we do it and what was it like?! 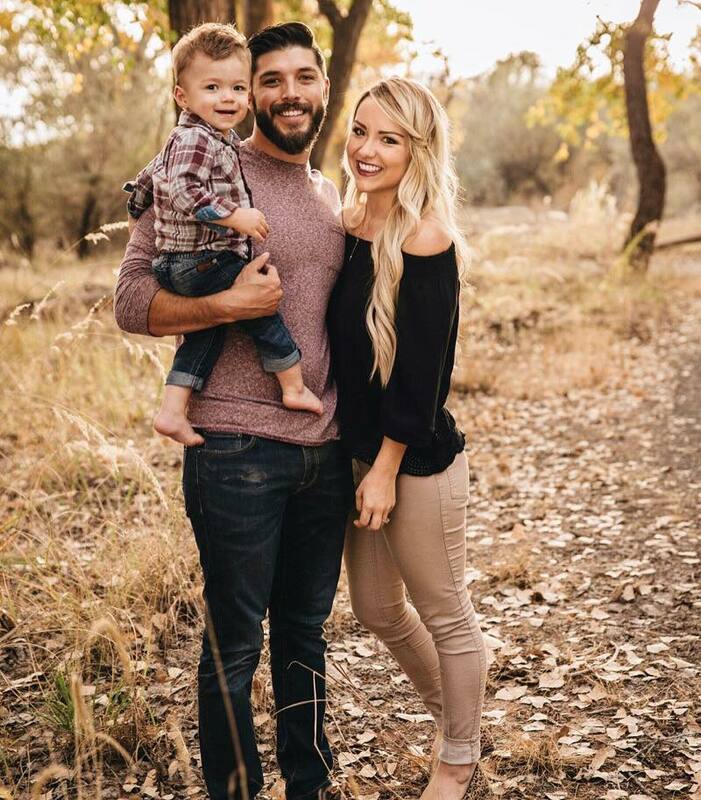 I am so excited to share with you all! In December of 2016, two of our close friends called us around 9 o’clock at night. They started the conversation by telling me that they had just received tickets to The Ellen show. They said that it was only about a week and a half away! I was absolutely thrilled for them and told them to take a million pictures, but then they asked us if we would like to go with them! Connect with me on Instagram, Pinterest, Twitter and Facebook! What do I wear to The Ellen Show? : Jeans are not allowed and they request that you wear brightly colored shirts (no graphic tees permitted.) You should ensure that you don’t match anyone else in your party or they may split you up! Will I be seated with everyone in my party? : This is not guaranteed. We saw them move some people away from their groups and were told that it is based on clothing color, hair, etc and how it looks on camera. They want to ensure that the audience looks seamless. Most parties did stay together, however. We were fortunate enough to sit together and were seated in the third row! Where do we park? : You will park in the Warner Bros. parking garage, which is also the same place that you will wait and initially line up. Is there anywhere to eat? : They encourage you to bring snacks, but after we initially checked in we went down to an amazing Italian restaurant that was 3 minutes away (walking distance), ate as quickly as we could then headed back to the parking structure. What is the temperature like in the studio? : It’s cold! But when they say you’re going to dance, they really mean it. We warmed up pretty quickly because we didn’t stop dancing unless we were sitting down! Bring a light sweater if you get cold easily. Need somewhere to stay?! Here is $40 toward an AirBnB as my gift to you! We went to the parking garage and waited in the bleachers until they called us up to show our tickets and get hand stamps. They encouraged us to go and get lunch and be back within two hours. We walked down the street and ate as quickly as we could. We wanted to be back before most of the audience, just to be sure we weren’t stuck in the Riff Raff Room (Ellen’s version of an overflow room.) Shortly after we got back, they started to call people up to give everyone a number, which was on a card with Ellen’s face on it. Although they reiterated that the “numbers don’t matter”, they definitely do. Tip #1: THE NUMBERS MATTER! We were given numbers 5, 6, 7 and 8 which means you are in the first group to be seated. This means that you are highly likely to be placed in seats closest to the stage and get to enter the studio first. As we were grabbing our numbers, a sweet guy on staff stopped us to ask us some questions. 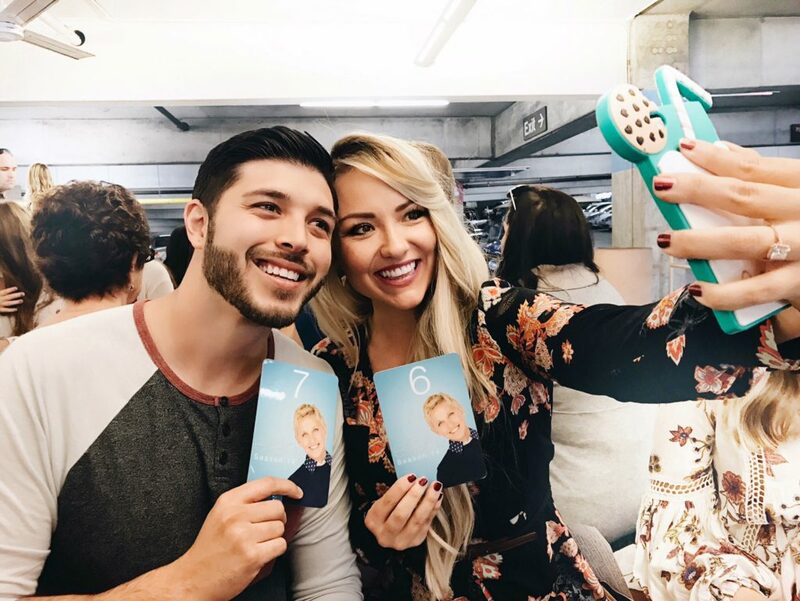 We were asked if we had traveled to LA specifically for the Ellen show and why we loved Ellen. We were (overly) excitable and he told us to come and find him when he called out for “The Bungalow”. When the staff member called us over to line up, there were about 55 people total. He said that he would send 12 of us to the “Bungalow” and the rest would need to go back. Happily enough, he chose to send us to the Bungalow, but sent our husbands back to the parking garage. We were in the Bungalow (a small trailer) for about an hour, and it was a group of very excitable girls. Tip #2: SHOW YOUR EXCITEMENT! For that hour, they prepped us for the show. They prepped us for the excitement, the screaming, the dancing. We were all asked (multiple times) how we would respond if Ellen called us up for any reason and asked us to scream and jump up and down. They asked us questions about ourselves, what we do and wanted us to share a few things that we have on our bucket list and and recorded all of it. They prepped us for the games, in case there were any, but we quickly realized that they had been prepping us for the 12 Days of Giveaways! All of the girls in the Bungalo including ourselves were in the first three rows of the audience. We assume that this is because we are the loudest and most obnoxious ;), but honestly, I think it’s just because they prepped us and knew that we would all have the energy for the cameras. We danced – A LOT! My husband said multiple times, “They definitely weren’t joking about the dancing!” And it is so true. We danced at the beginning, the end and throughout all of the commercial breaks. It was so much fun! 🙂 They also have someone who ‘amps up’ the crowd the entire time to ensure that everyone is clapping and screaming when the show comes back on. We stayed at a super cute Los Angeles Airbnb only seven minutes away from Santa Monica pier and 15 minutes from Burbank (where Warner Bros. Studios and Ellen’s studio is.) It was a cozy and quaint home – similar to a mother-in-law quarters – in a very beautiful neighborhood with other gorgeous houses. We immediately felt safe when we pulled up (which is obviously of major importance when booking Airbnb’s) and the host was there waiting for us. She handed us our keys right away and let us know that she would be happy to help if there was anything that we needed. We walked upstairs and found a basket of sodas and snacks waiting for us. We were never bothered by anyone, everything worked properly and there was a beautiful outdoor seating area in a lush garden, which we loved. Also, the location seriously could not have been better! We were able to drive to a huge indoor and outdoor mall, a sushi restaurant and then walk along that area straight to Santa Monica Pier. A variety of shops and restaurants lined the street which allowed each of us to do something that we all enjoyed. We absolutely loved our stay! Here is a coupon for $40 toward any Airbnb reservation as my gift to you! If you didn’t already know, The Ellen Show is always free, so applying as often as you possibly can is key! Tickets can be applied for online at ellentv.com/tickets/. It is best to check the site daily to see if there are any dates that say ‘Tickets Available.’ Don’t be discouraged if a day says ‘Fully Booked’ – that changes very often when cancellations come up. Our friend, Adam, applied online multiple times. He continued to try throughout October when it actually worked! P.S. I have a small feeling that applying under a male name is helpful considering that there are so many women applying daily. Ellen also does multiple giveaways on her website and social media accounts to win tickets to 12 Days of Giveaways. She tends to run these contests throughout the entire year, so try and take five minutes a day to check it out and enter if you can! Good luck! Who did we see and what did we win? I didn’t want to know anything about the guests beforehand, so everything was a complete surprise for me! Alicia Keys was the first guest and she performed about 10 feet away from us. She was inspiring and amazing! The second guest was Rosemarie Dewitt from La La Land! Ellen was kind, quiet (more so than expected) and so funny! And you guys – those jinglebells! 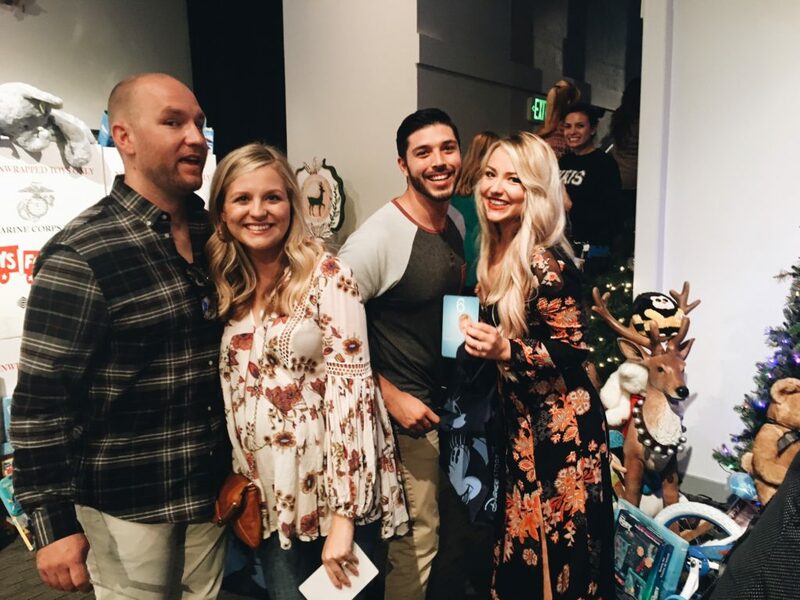 When Shayna and I saw the reindeer and heard the bells announcing that it was a 12 Days of Giveaways, we immediately burst into tears! haha. We were SO excited! My husband and I each won two large poker sets, $300 Kohl’s gift cards, $300 Bliss Spa + Skincare Gift Cards and a $600 Hulu Subscription! Thank you all for stopping by Sparrows & Lily! If you liked this article, please make sure to Subscribe Here so that you don’t miss out on any future posts! Don’t forget to follow me on Instagram, Pinterest, Twitter and Facebook! This is so awesome! I’m the same and would LOVE to go to the Ellen Show one day!! I have always wanted to go to the ellen show. On my bucket list for years. Especially now getting older & injured it’s up there at the top of my lis, for this year 2018 during 12 days. ARE THESE 12 DAYS shows taped in December or november? The airbnn sounds,awesome. I have been searching RCI.com for a condo for 7 nights in early December near the Los Angeles area. Although I need to know what dates ellen does the 12 days? I can be. Very excitable & fun on the show, actually I can be myself like I am at home by myself or with my hubby. I am always making him laugh. I learned how some of this works from back in the day. I waited in line with friends for the price is right show. This was in June 1980. Oh my, I was pretty shy & quite back then so during in line interview that we were unaware of. I did not get picked as I was polite & kind with quant smile. They were definitely looking for exciting people. I’ve always wanted to be on your show, being there on the 12 day giveaway at Christmas time, would be a dream come true. Both, me and my husband love you Ellen!! I love u ellen u help so many people .u are so funny.i will to be on you show it mean the world to me and daughter. It been hard us live in a shelter .i hurt in 2016 wasn’t able to work so this Christmas .is not good for my daughter. And plus we in shelter i will love to come to your show.just see u will be amazing .writing to you got me happy. This was such a fun post! Hello! I’ve been reading your blog for a while now and finally got the courage to go ahead and give you a shout out from New Caney Texas! Just wanted to mention keep up the good job! I always check Ellen’s website hopefully one day Me and my partner can score tickets. My life long dream is to be on Ellen and to win at least 100 thousand dollars in a scratchcard game or the lottery lol . Woohhh!! I really want to go to the Ellen Show but can’t get a ticket! I’ve been trying to get tickets to see Ellen for years always sold out so sad. Maybe one day I will be there to see her she always makes me smile. Thank you for the ellen show tips. Very helpful. Wish it’s luck!!? We’ve been trying for a very long time to get tickets. Maybe if my husband asks….. I Would Luv To Attend Th Ellen”s 12 day!!! You have given me hope !! I have so wanted to go forever. I’ve applied so many times it’s ridiculous my husband keeps telling me I’m wasting my time. “Ellen ” is my bucket list !!! Happy for you thanks for sharing! I really want tickets to the show for me and my Mom she love love your show! I would do what ever it takes to get tickets. Especially the 12 days of Christmas tickets. I always wanted to be on Ellen’s 12 days of Christmas. That has been my dream, I hope that my dream comes true. Thanks so much for this blog post!! It helped me to realize you can apply multiple times 🙂 I didn’t want to screw it up so after finding your blog I signed up for two of the days we’re there. Here’s hoping! I Lovvvvve U Ellen ? Would love to be a guest for the 12day give away ✋? It would be soooooo awesome ???? Hey Ellen I just want to tell you how much i love you i watch you every day if I don’t have to work over late I would love to come to your 12 days giveaway show you are such an amazing person. I would live to get 3 tickets for the 12 day give away I would love to surprise my sister she has been thru a lot this year with her vision she has had a detached retina and is losing her eyesight we all love your show, I would love to surprise her. Hi Ellen! I have a sign in my office that says KINDNESS MATTERS! That is my own spin off of your BE KIND TO ONE ANOTHER!! For my 50th birthday I wanted to go to New York and see the Today Show! Oh and yes say hi to Matt and Meredith! Well I did and had a fantastic trip. This November 8 I will turn 60 as does Matt in December and you in January!! I think it would be a real treat for me to celebrate my birthday seeing your show!! Ellen I would ? tickets for the 12 day. For years been watching your show and you make me laugh and smile and your a amazing woman.Please let my dream come true and win 3 tickets so I can suprise my two daughters. We all deserve to getaway and would love to meet you in person. Ellen i would love to get tickets for your 12 days im a mother of 5 grandmother of 4 i need help please pick me ellen love you girl. My name is Crystal Bright, I would love to come to the 12 Christmas giveaway. I’m a caregiver for cancer and aids patients which are terminally ill patients. I Love Ellen for the woman she is and would love to just take a break and breathe. I would love to come to her show and have some good laughter for a change. This is my 3rd or 4th year trying but I’ll never give up trying to see her. I’m grateful with 1 ticket but if there is a chance I could have 2 that would be nice also. I do believe in prayer and miracle and I’ll keep trying. Dear Ellen, I would love to get tickets for your 12 days Giveaway. My birthday is December 5th and I have been trying since I turned 60 I’m now going to turn 67 this year and this would be the BEST BIRTHDAY PRESENT ever. I watch your show every day I now take care of my 93year old mom and I have her watching with me. I ❤you . I make it a point to watch your show every possible day I can. I am watching Heidi K. On your show now—love, love her also. I will have a birthday also in January—-I will be 85 ,!! I just did. 5-K for our local YMCA , have done a 60 mile walk for cancer. etc. and I would love to surprise my 2daughters and my granddaughter who works @Universal Studios, Cartoon Network (her name is Theresa Potts) with 4 tickets to the 12 day give away. Please give us a chance to see you in person. Thank you and hoping to hear from you. In February 7-16, 2018. Been watching your show since it began. This would be the best retirement gift ever. I watch Ellen everyday. I can’t wait for her to dance with everyone. She has such wonderful skits and so funny too. I look forward everyday to see what exciting things she’s going to show. I especially love when she has the children on her show. I love to watch the excitement on their faces. You are also so generous to a lot of people. Thanks for being who you a e.
We have been married for 13 years and have watched you every night and you make us laugh. We believe if you laugh every day and treat everyone like you want to be treated then we are all good , My bucket list is just to meet you and see LA. Dreams might come true. How long did filming actually last? My friend and I just received tickets for the October show and are trying to figure out a timeline! I am signed up for a conference the day after and am going to try and take a red eye home that night, but I don’t want to miss that flight if the taping goes long! My daughter & I also just found out a couple days ago that we have tix for the 10/25 show! We are also trying to put together an itinerary so that info would also be helpful to us. Good luck! Have fun! Hi, we got tickets for October 26th show!! So excited and honored!! Planning g is so fun!! Where are you staying?? I have been trying for 4 years!!! Love love love the happiness and joy!!! Loved this story. Thanks for sharing. Can I ask what month you guys got to go to the show? We were there in mid-December! Good luck! Hi Ellen ! Recently retired from our local hospital after 25 years. I’ve been watching your show since the beginning love it . Would taped it on days I worked and watch it when I got home. It could be a very long stressful day in the Emergency Rm, but watching your show would revive my spirit. Please continue to uplift and entertain us. PS coming to your show is on my bucket list but boy what a great retirement present it would be! Thank you again for always putting a smile on my face and making me laugh ❤️ I would share my tickets with my bff who also retired recently after 40 + y in ER ??? Hi, I was just wondering in what month did u guys actually attend the show ? Was it in December or January?? Or before? We attended around December 15th! Good luck! It would be a dream to get tickets for the give away shows. I would like to surprise my wife big time to see your show. She has me record your shows so she can watch them after work in the evening . Ellen I am requesting tickets for my daughter and myself . This however is more for her she has given up her life for her nephew who was shot and needs care for 24 hours . I have tried to get her to go on trips with our church or by herself but at the last minutes she will say who is going to care for Darryn. This would be a wonderful thing for her just to show how much she is appericated . Thanks for letting me talk with you about her be blessed and continue blessing others. I wish or was for Friday so I could tell friends “I spent my birthday with Ellen” Haha yes Friday Sept. 29 is my birthday would be so awesome if Ellen knew and said a shout out to me. Anyways excited to go either way. Thanks so very much for the encouragement and positive vibe about your Ellen journey. I had all but given up hope that I had a chance. Your positive energy revived my hope that it will happen. Honestly, I was so sure I would get tickets I told my BFF’s Mark & Mike, twin brothers to mark the dates…we were headed to California to see Ellen! They love her too. Not only because of her lifestyle but because we share a love for her positive energy (which is missing on most TV shows). An unexpected early retirement and personal crisis ? Just may turn into ?? ! Again, thanks for the great pose!!! The are gift cards so you need not worry about this. Lindsey:. Love the story!! Where did the husbands end up sitting when they left the parking garage? Thanks! They were taken over to the Ellen Shop to stand in line. Once we left the bungalow, we were able to meet up with them before we entered into the actual studio! Thank you for the helpful info!! Wishing you the very best of everything…. kindness matters!!! What are the dates of taking the 12days of Christmas give away? Am I too old to be on the Ellen show! I am 81 years young! My family always watch Ellen everyday at 3:00pm . I am amaze how she care for individual. At times like these, she is our strength. She is such a heart felt person. We love her. Dearly. Plus, she gives us hope. When you are feeling down. So if my family and I could spend a little quality time on her show for the 12 days of give away., this would be rewarding. She is for the people, seriously. Sincerely, We love you Ellen. We look forward in meeting with Ellen. Iher show encourage people. This is what America needs to hold people together. As Ellen always say “love” one another. ?,????. As Ellen always say”Love” one another.! I have put in so many times when it said tickets available never get them I love ellen but lost all hope and don t understand why it says available but they really are not…. I love ellen so much and ive tried for years to geton her show.ive especially been trying to get on the 12 days of christmas giveaway.maybe ill get lucky one day.shes such a generous woman and id love to meet her one day. Would love to be in the audience watching Ellen???✌? I was notified this week I get to attend the Halloween show and am beyond excited. First time I tried and just like that, I was asked if my party could be in a creative costume and of course I said YES??? I’m now researching how on earth to get these tickets! I want to go so badly!!! Loved reading this! I wish I had found this prior to when I went to Ellen in October. She offered us tickets to come back in December for the giveaways! What taxes do you have to pay for the winnings? And what if something is so big you can’t transport it? If you have answers.. thanks in advance! All of our gifts were relatively small (mostly gift cards) so we were able to take them home with us. However, we were given a pretty heavy poker set and they handed it to us on the way out so we had to find a way to fit them in our suitcases! I would assume that if it’s large enough they will ship it to your home. Have so much fun! Hi Lindsey… thanks for the info…. hopefully, one day we will be fortunate to receive tickets..
. question? Like Emily … upon winning the 12 days items, did the crew ask for SS#? Pay taxes? Etc. Hi Angie! They did have us fill out a form but I honestly can’t remember exactly what was on it. However, we didn’t have to pay taxes on anything that we received! Hello my name is Debra Walker I would love to attend your 12 days giveaways my family is really in need we are homeless and we really need whatever we can’t get we all would really appreciate it. We are really caring people and are grateful for whatever we can get thank you. Please let us come to see your show. This would be a great surprize for them. We have had some hard times, my husband there Dad has passed away coming up 6 years nov8/17, and we have had some hard times in all getting along. we all really miss him and this would be great for us all to come together as a family. It would make my life to go see Ellen on one day of the 12 fays of Christmas. My daughter who is going to be getting Married in 2018. She is Gay,and life hasn’t been easy for her. Her family just dont understand her life Style. I just want to make her dream come true. To be on the 12 days of Christmas. Then help her marry her Soul mate! I am having trouble finding the blog date. I did read that the blog was written a few weeks after, so I am wondering when you attended to get a better idea of when 12 days might happen! TIA! Hi Alexis! We were there in the third week of December last year (2016)! I hope this helps! Especially the twelve Days of Xmas. Hi Ellen, I️ look at your show all the time and would love to get tickets to your 12 days of Christmas, Your so down to earth and you can dance! Hi Ellen!!! I have never been to California for any show ‘ I love your show , and it would be a privilege to be at one of your twelve days of Christmas taping .we are on a tight budget and I could never travel there unlesss I rain such an amazing trip to see you ..
Hi Ellen I watch your show all the time in I Always wanted to attend the 12 days til Christmas I am a mother of nine beautiful children who always dream of a big Christmas but I can’t never give it to them I once was working but now I’m living on a fixed income please bless me this year!!! I can’t believe people are still commenting on this blog post and especially commenting as if you’re the Ellen Show! You must have connected with a ton of people! I’ve been fortunate enough to score Ellen tickets 3 times over the course of 7 years, living near Los Angeles. Just wanted to tell you great job writing this and giving the play by play timeline! Thanks for putting the info out there! It looks like they have already started this year according to Ellen’s FB! But we went on Dec. 15th and it was the 5th bonus day! How did you get tickets for the 12 days ? I love Ellen she is the very best, I would love to attend her show any of them, your the best Ellen. Rob from Danville I’ll. I’m attending a Christmas giveaway taping this year! I’ve been looking all over online to see if anyone has blogged about their experience. I’m curious what to expect when getting all of those awesome gifts. Did you have to fill out a tax form or anything like that? We didn’t have to fill out a tax form! They handed the gifts to us as we left. Congratulations and have fun! What month was the taping? Or was it live? I know that a lot of shows are taped months in advance. I really want to try to go for a Christmas show. What month did you go? I would absolutely love 3 tickets to you’re 12 days of Christmas show or whatever is available ??? 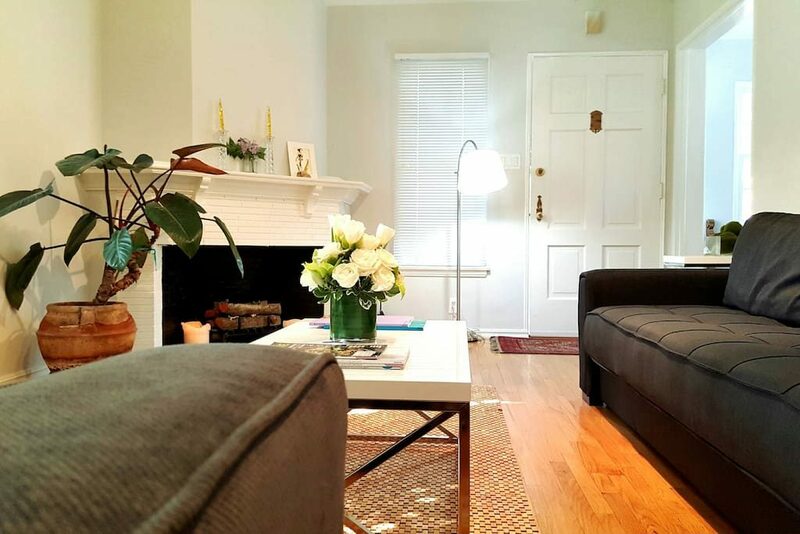 Do you have a link to the airBNB you stayed at? I read your article Andy thank you for sharing all these tips. BUt i still don’t know how to get tickets for the 12 days giveaways AND the link you posted in order to see what you won is not working anymore. I love watching your show and would love to come to your 12 day give away show! I’m a 2nd grade teacher and I told my students that you would pick me to come one day! Also, my two college sons would love to come and meet you! We would really love to meet you! Hi Ellen , I can honestly use some happy time and receiving just two tickets for your show would absolutely make my day . I have always been one of your best fans . Please consider this sincere request ….. Thank You ! Dear Ellen …. I have written letters to many times in all different ways but keep trying … let me start off by saying when inspiration you are to my family my son was the bravest thing six years ago when he came out in high school !!! you were totally an inspiration to him to us all …. 10 years ago my daughter lost her baby in her her five-month pregnancy and wrote to you to cheer her up your show did a wonderful thing by calling her and saying they were tickets for her to come out but she at the time didn’t have any money to fly out there and had to miss the chance of coming to see you which is been the biggest regret of her life …. i’m not to make it up to her I having the chance again and the 12 days of Christmas would just be truly amazing a dream come true to meet you and celebrate the wonderful things you do for people … I do believe dreams come true and seeing you in person is one of them !!! Dear Ellen i see your show daily you are such an inspiration to me. My husband walks in from work and joines in watching your show he know that dinner will not get started until after. My biggest dream is to go to your show. Hope my dream comes true one of these days. Lives with pain constantly. So when someone makes me laugh I can call that an almost good day. I WOULD REALLY LOVE TO BE PART OF YOUR 12 DAY GIVEAWAY SHOW OR ONE OF YOUR REGULAR SHIW. Hey Ellen it would be great to get tickets to your 12 days show. I haven’t had a vacation in OVER 20yrs and I was suppose to finally go after my belly surgery and daughters wedding but my trip ended up canceled. I moved back in to help my parents when my mom found out she had stage 4 cancer. Since her death I made a promise to her I would continue caring for my dad. I am dealing with a incurable disease myself called ankylosing sponsylitis in pain 24/7 but I manage to do what I have to everyday. Dad is 88 yrs old and I am pushing 60. Trust me your parents do convert into their second childhood. I thought that was a old wise tale but little did I know its real. Lol. God help my daughter. Lol. But seriously yeah a vacation is needed even if it’s a day. Thank you and blessing to you and your family and staff. Kindness does go a long ways. ? I am a retired teacher and have always wanted to come to your 12 Days of Christmas Giveaways. I already told my family if I get tickets to your show Santa Claus made my wish come true. Please make my wish come true to see you and how you make a difference in people’s lives. Gracias! I would like to open a nonprofit organization for ALS disease, My stepfather has it, my mother is taking it very Hard, it’s my mother’s husband! He’s been having it sent 2016, can not walk, eat, move his body at all! That disease shut down on your muscles in your body! We need to have a cure for that!!!!! I would like to make that happen so bad, nobody needs suffer like bad I need my dad my mom is worried to death! Hey my sister I love your shows I cry ,jump ,smile, and always close in good sprit Ellen may I please get the once in a life time chance to make my day , tickets please. Hello Ellen we have been watching you for years and enjoy ever minute of the show. My wife and I will be married for 50 years in Jan. 18,2019. We never had been on a honeymoon, but would be great time for the both of us.The tickets to the 12 days of christmas would be great.If you can find it in your heart gave is two tickets to your show. We have both retire with my wife doing it this year. If nothing else tickets to a regular show. We love to see. Hello Ellen, I do not know what to do. I’m trying to sign up to be on your show during the 12 days of Christmas 2018. Any day is fine with us. Myself and my daughters. Being on your show will mean the world to me. I’ve been trying to enter the contest as I have before in the past. I just don’t remember how I did it.due to medical condition. So I hope that you will call . Ring! Ring!Ring! ???? OMG! THANK YOU!!! I thought I was on a different blog or something when I started reading all the “Hi Ellen” and sob stories! Listen, it’s tough out here for everyone. It really makes me mad to hear people saying how hard they have it because their retired (a pipe dream for me) or that someone they love has a disease. (My husband has MS but so do millions of others) So thanks again for keeping it real! My bucket list Dream for over 10 years has to be in Ellen’s 12 Days of giveaways. It’s been something that I dream of and hopefully it will come true someday. My lifer ally has been filled with so much turmoil and my family needs something positive for once. Ellen, you are my truest inspiration and keep myself and my kids in a positive mind set. Ellen is what makes me live life with a positive outlook and hope someday my dream comes true. This is not Ellen’s blog. You can go to EllenTube and get the info to get tickets. There supposedly picked randomly. I was in San Diego and seen your Stand-up. Good to see you on the road. I am 58 and in college. I have a young 18 year old classmate. I gave her a pay it forward vacation. Her family was strapped for cash putting another child through school. I failed to reveal that I paid for school out of my own education funds. I’ve had many tragic occurrences and needed a break myself. I signed up for november 12,2018 viewing. If I invest going back out again, would there be a chance that we would humbly request the 12 day giveaway. I’ve waited since you’ve done this show and have had no luck in attending. if your christ-like compassion could welcome us to this event, we would be so grateful. correction: Paid for vacation out of school monies. I’m a mom that has 1 ultimate wish. That’s to attend your 12 days with my 3 daughters. 1 is a military mom whom never has time for herself & husband is deploying in February to Germany for 9-12 months. She’ll be home in Kansas with 4 children 9-7-4 & 3 months. She deserves a break. My other daughter is a mom of 3 stuggling week to week with 3 teens, 16-13-12. The other 1 is a single mom w/1 child. I need a day with all my girls in a fun, enjoyable atmosphere. Please Ellen can you grant this 55yr old mom a wish. I have a youth organization in which I halo all the community youth in homework, Basketball, cheer, baseball. I volunteer at the Sparrow Cancer Center in my hometown of Lansing Michigan. I can help around your set by cleaning or cooking Mexican food for your crew. Blessings & much love, Grace G. T.
12 days. of giveaway. please please ? I watch your show everyday with my boyfriend and we would be more than honored to get tickets to see you. We love you. If possible the 12 days of Christmas give away is what we have always wanted to be on. Hi Ellen my name is Tiffany Nelson and I am a single mother of a 17 Year old son and he will be graduating from 12th grade come 2019 and I would love to come see you Ellen for the 12 day of Christmas giveaway me and my family I love every show even your game show so please pick me love you Ellen ❤❤❤❤???? Hello my name is Rose Meadows, I would love to take my best friend of 50 years to the show 12 days of Christmas. we don’t get to do a lot together and this would be a great trip for us. We both work so many hours and to just get to spend a couple of days together enjoying what we love to watch on TV together. This is a big wish for both of us. Hello my name is Patricia Ramos, I have a best friend Josie that I have known for at least 42 years we are long life best friends. We unfortunately I live 1 1/2 away from each other but we are so close in heart. I am so grateful to have her in my life, she has been my biggest support she has been there through all my tough times, and she also knows i am also always here for her. With so much going on in life this would be a dream come true for the both of us. We are both always doing and putting others before ourselves. I would love to surprise her with 12 days of Christmas tickets. I know it would make her cry happy tears !! I am excited just sending this message !! Hi Ellen, my name is Elizabeth and I would like to be on your 12 day of Christmas give away with my 3 sisters Maria, Blackie and Ivette. It would mean the world to me. You are my biggest inspiration because your love and kindness is a Blessing to many. Most of all animals? I WOULD LOVE TO COME TO YOUR SHOW. Loved your helpful post! How long was the whole tv taping? I know check in is at 12pm. What time did you leave the taping? We left around 5pm! The taping itself was about 2 hours. Hope this helps! We love your show My husband Nick, My self Martha. my daughter Alyssa. Hi Ellen!! My whole family loves you even my husband.. We watch everyday at 3 and love love love the 12 days of Christmas watching all these people have the best times of their adult lives.. For a chance to be up there and meeting you would complete my bucket list with only 20 things on there being on the Ellen show would just cancel everything else out! I recently went to Arkansas to bring my mom back for Christmas to my home north Carolina. She recently lost her husband and we have watched you everyday since she’s been here and we both watch everyday different time zones. She was busy with my children playing games and as soon as I turned the t.v. to the Ellen show the grandkids got ditched so fast! Lol we just love you from the beginning of your show to now your just amazing!! My Wife and I would just be so thrilled to see your show, we have a blended family of four beautiful kids. Our 4 year old daughter Isabella always dances with you next to the TV when you play the music on the show, it is so funny. I guess my daughter gets her rhythm from me because I used to dance most of the dance clubs in different states for competition but I’m a little older now, lol I don’t know if my wife and I would faint or just scream if we got to see your show. You are just so uplifting,caring, loving and most of all FUNNY! oh and you do have Great dance moves. Going to the 12 Days of Giveaways would be a DREAM! I’ve been lucky enough to attend the Mother’s Day show and another show a few years prior, but the 12 days wold be so COOL!